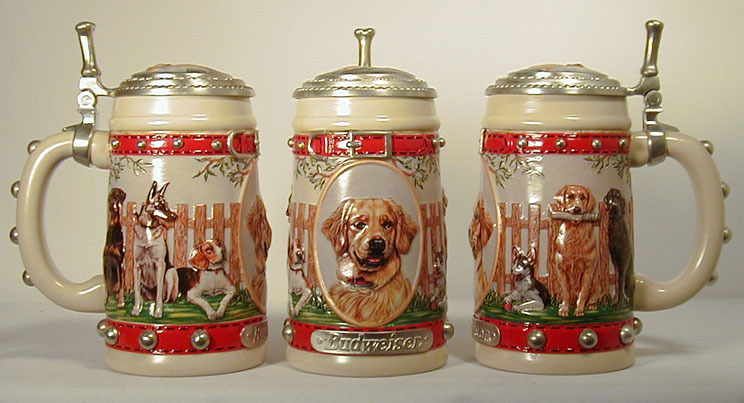 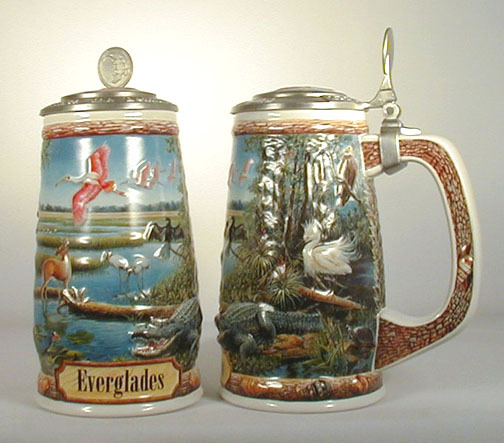 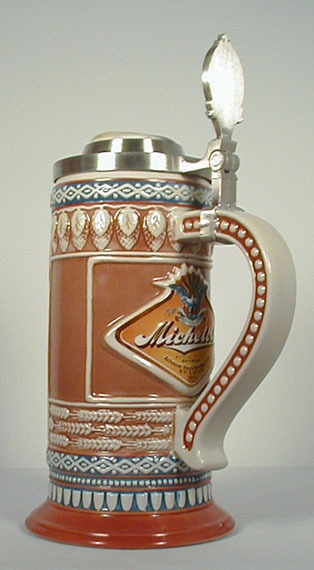 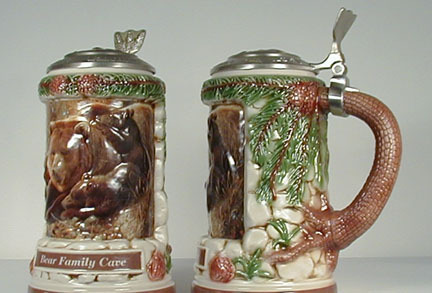 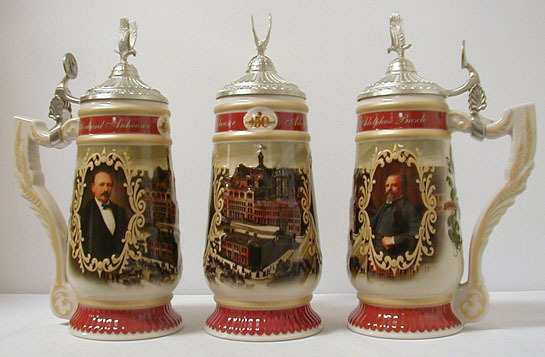 The Michelob Tavern stein (CS-593) This lidded stein measures 10 1/4" tall. 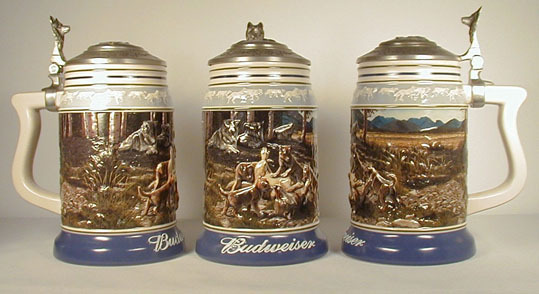 Edition size: up to 3500. 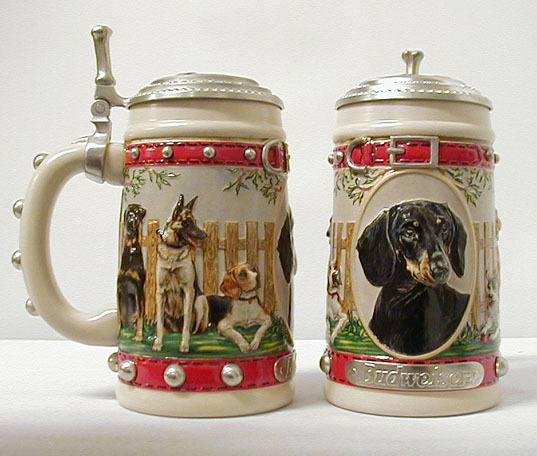 Anticipation stein (CS-536) Third and final stein in the Wolf Pack series. 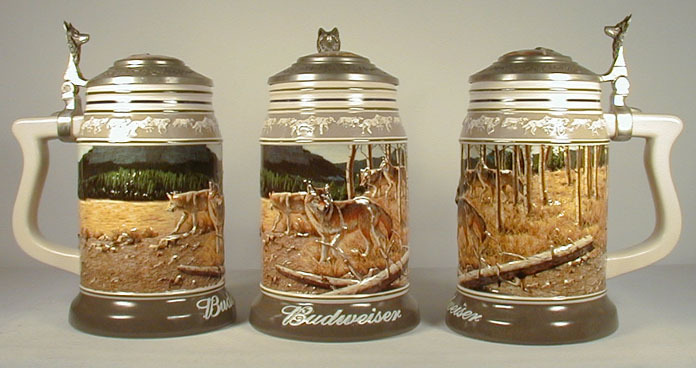 Generations (CS-506) Second in the Wolf Pack series.